With all due respect, Mr. Chairman: Huh? Does the FTC really intend to probe America’s opinion-mongering apparatus this closely? Do you have a team of Freuds and Jungs able to examine “the weight” consumers give such opinion – and the way they weigh that weight? Naturally, this expedition from Oceania – that’s the place Big Brother ruled – should be worrisome to all Americans, and to all viewers, readers, listeners, users, and providers of any communications medium. But for the 400 members of the Interactive Advertising Bureau, most of which are small and medium-sized enterprises struggling to build their businesses in the face of the worst decline in marketing spending since the 1930’s, the implication that online social media represent a separate class of communications channels with less Constitutional protection than corporate-owned newspapers, radio stations, or cable television networks is of particularly grave concern. They – and we — are not arguing that bloggers and social media be treated differently than incumbent media. After all, most newspapers, magazines, radio stations and television networks, in recognition that Americans are embracing new forms of social communications, have established their own blogs, boards, Facebook pages, Twitter feeds, and the like. Rather, we’re saying the new conversational media should be accorded the same rights and freedoms as other communications channels. Indeed, to copious industry protests that provision of free samples, tickets, and services to independent reviewers has been a staple of media since media began and shouldn’t be regulated more strictly online than off, the Commission simply disagreed and said it will “consider each use of these new media on a case-by-case basis for purposes of law enforcement.” So if Niero Gonzales fails to flash “freebie” across each review of a first-person shooter posted on his gamer site Destructoid.com, will he be dragged down to Pennsylvania Avenue for a civil investigation? If I blog on randallrothenberg.com about the dozens of free management books I receive each year from publishers, will I, John Wiley & Sons, or Harper Business be subject to a penalty? Again with all due respect, Mr. Chairman, the Commission’s Guidelines really provides no guidance at all. This confusion easily could have been avoided. The IAB and other industry organizations clearly identified the risks to free expression and provided the FTC significant, formal First Amendment guidance when you first mooted the new guidelines earlier this year. We offered to bring in bloggers, social media executives and others from among our membership and work with you to develop practical guidelines and self-regulatory mechanisms that would protect consumers from real harm, while assuring that independent opinion in digital media isn’t stifled. But Commission staff did not follow up with us on our offer, held no public hearings on the proposed Guides, and ultimately dismissed our concerns. Instead, they took the perverse – and Constitutionally dubious – step of saying that individuals writing in social media bear greater liability than do those writing for offline, one-way media. Mr. Chairman, these are the types of vital regulatory issues that, if decided without due care and reasoned judgment, will impair the continued growth of news and content in the online space. I urge the Commission to retract the current set of Guides and to commence a fair and open process in order to develop a roadmap by which responsible online actors can engage with consumers and continue to provide their invaluable content and services. Wow, powerful stuff. 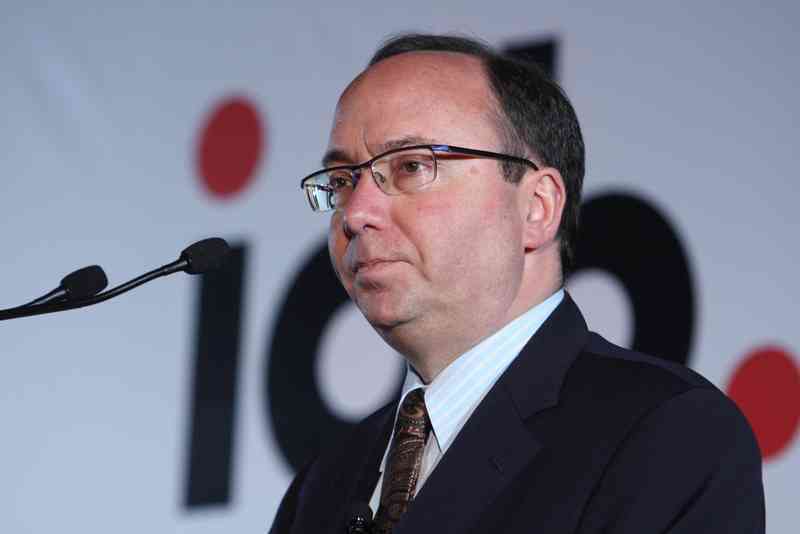 [Perhaps Mr. Rothenberg should be a Tech Liberation Front blogger when he wraps up his gig at IAB!] However, I’m not sure I agree with his call for FTC to open a new proceeding on this front. They should just dump these rules and get back to other business. Again, it’s not clear why people can’t just sort this out themselves. People who post bogus reviews of things because someone pays them to, or because of something “free,” are going to get called out on it eventually and lose their credibility. When people talk amongst friends, they don’t reveal where they got the products they talk about, or if they happened to get a promotional sample — and that’s fine. While you can understand where the FTC is coming from, it really has gone overboard with these rules. Agreed, and it gets back to a point I made here awhile back when I pointed out that this should really be a matter of journalistic ethics, self-regulation, and social watchdog policing. That’s the way to strike a more sensible balance. The FTC needs to scrap its misguided rules now.